The Quote It, Do It, Bill It, MRO Solution! Why Do You Need ProMRO? ProMRO is a comprehensive system your company can grow with. We extended a full featured business system that is top rated for ease of use and added the specific functionality to address the needs for Maintenance, Repair and Overhaul (MRO) business. Generate more accurate quotes, quicker with the Template functionality. Empower your sales staff, track win and loss info, pipeline revenue, and seemlessly manage your entire sales process. To find out more visit the ProMRO ERP for the MRO page. 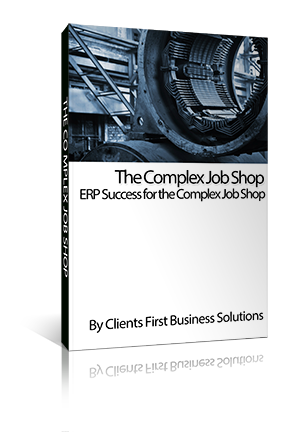 Create built in processes to eliminate redundant tasks and data entry. Allowing you and your staff to focus on taking care of customers and growing the business. Increase the productivity of your staff, reign in inventory cost – while creating more satisfied customers who come back again and again. Know the serial number of each part used on every job, maintaining full traceability putting you ahead of the curve in the case of a warranty or recall issue. Utilize the inherent document management to attach FAA compliance forms such as Supplemental Type Certificates (STCs) and Parts Manufacturing Authority (PMA) parts. Manufacturing or re-manufacturing parts, procurement and cross referencing to applicable parts can all be handled within ProMRO. No need to use separate business systems without real time inventory capabilities and relying on re-keying data to keep systems in sync. Your CFO will love the fast close ProMRO provides. With AP, AR, GL, inventory, MRO, supply chain, etc., in one complete ERP system there are no issues with reconciliation between disparate systems and creating boardroom financials is a breeze. Total Solution designed for the MRO Industry. Quote it. Fix it. Invoice it. Sounds simple, but it is easier said than done. Eliminate silos and regain control of your aviation or equipment repair operations with Acumatica and ProMRO. The functionality allows maintenance, repair and overhaul (MRO) companies to streamline information across quoting, repairing, invoicing and reporting within a single easy to use system. Do you have MRO software questions? Let's Talk! Let's discuss how ProMRO can help your MRO business reduce overhead and boost bottom line profits. We had a great time at the MRO Americas show April 9 - 11, 2019! We hope you stopped by our booth 2108, we were giving away airplanes for free! Ok, they were balsa wood airplanes, but still free! We hope you had a fun and educational time in Atlanta. Let us know if you want more information on the latest in MRO software that we presented at the show: ProMRO. Need help now? Call or email us now!